What's the simplest way to get someone to take action? You give them a “system”… a blueprint… a formula. Right? We all know it as marketers, so today, that's exactly what I'm going to do – I'm going to “market” you into my campaign development system! 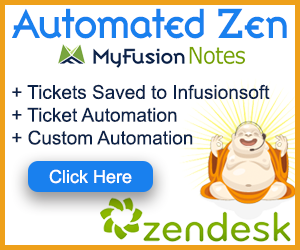 I've taught hundreds of Infusionites how to get more from Infusionsoft, how to harness the power of Campaign Builder, how to design robust funnels, how to setup sophisticated workflows and streamline their business and operations. Over the years of doing that, these are the most common issues or challenges that I see people face. Don't know where to start – They have an idea for a campaign in their head, but just don't know how to put that into Campaign Builder. Know what they don't know – They know there's a lot they don't know and so, out of a desire to make it perfect, and a fear of screwing it up, they simply don't do it at all or procrastinate endlessly. Now, tell me, do you spot the one thing in common with all of those challenges? The all come down to lack of confidence! So where does confidence come from? It comes from success. Where does success come from? It comes from experience. Where does experience come from? It comes from failure – many, many failures. The point is, all confidence is, is a result of just rolling up your sleeves and doing the work! After you put in some time doing a few campaigns, your confidence will skyrocket and you know what? You won't need to consider hiring anyone anymore. The GBB System is amazingly simple – so much so, that you may be very disappointed after the build up – but don't be. There is amazing power in simplicity. In fact, despite what you might thing, the most effective campaigns are usually the simplest campaigns. 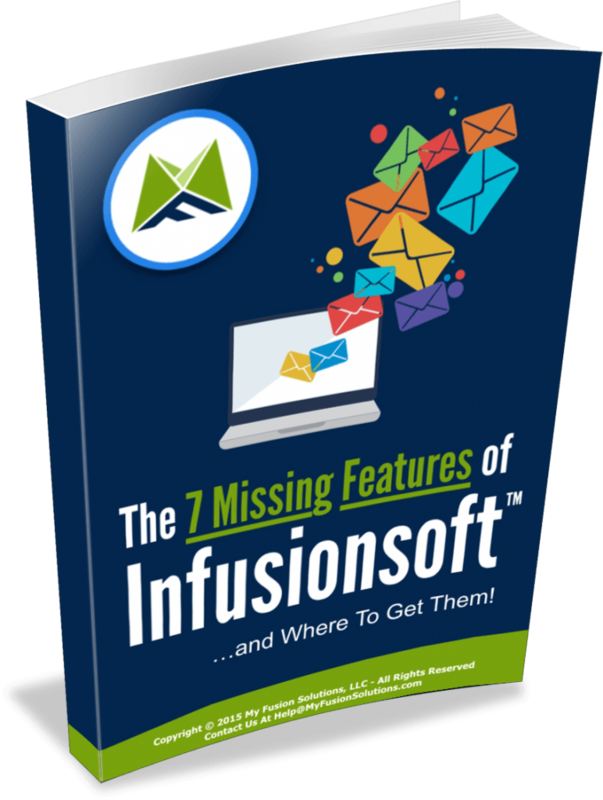 One of my most successful clients has, literally, only five campaigns in his Infusionsoft account. Of those, only one of them is a marketing campaign. That's right, just one campaign. That one campaign is amazingly simple, yet sophisticated and elegant with nearly a year of refinement. That one campaign also does about $1.4M to $1.7M in revenue for him. But wait, it gets better. That's not annual revenue. That's monthly revenue. And the simplicity doesn't end there. This same client only has one product. He doesn't have upsells or cross sells. He doesn't have other products in his funnel selling a million things. He has focused his entire business and business model on creating the most sophisticated and efficient way possible to sell his one product, via his one funnel. This is the holy grail of simplicity – it truly is. That's it. He simply doesn't want to spend the time or effort – or be pulled into another direction – by going off on a tangent with other products, downsells, cross-sells, etc… And ya know what, it works! It works because of the immense FOCUS he puts onto those two simple actions: get more traffic and convert it better. 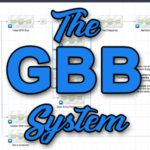 So what is the GBB System? Well, if you're a little slow this morning and perhaps haven't had that second cup of coffee yet… and if you haven't “caught a hint” by now, it's about simplicity! GBB stands for Good – Better – Best. First focus on getting your funnel done and “good enough to launch”. This doesn't mean you just slap it together with no thought or effort, but it also means that you don't obsess about what you “could do” and instead just focus on getting it done. Here's a little hint for ya… THERE WILL ALWAYS BE MORE WAYS TO TWEAK YOUR FUNNEL! So don't obsess about those right now. Instead focus on the main goal of your funnel and the three or four step goals to get there. If you don't know what a step-goal is, think about crossing a stream. You see this little stream in front of you and, being the gentleman that you are, you don't want your gal to have to get her feet wet crossing the stream. So you go grab some big rocks and you spread them out about every two feet across the stream until you reach the other side. Now she can just “step” her way across the stream without getting wet and you're the friggin' hero! Lookie there… you just got some dating advice slipped into a marketing automation post – lol! But seriously, that analogy is exactly what you need to focus on in this stage of funnel building. In the GOOD phase, it's simply about defining (a) the main goal of your funnel and (b) the step-goals you'll need to execute on to get there. Let's break this down into practical terms. Okay, you get the point. But notice that I didn't particularly worry about the flow of the funnel or the order of the steps. At this first pass, it's just about getting those steps lined out. Yes, I know – it's just a collection of goals and it won't work – they're not even connected. DO NOT WORRY ABOUT THAT RIGHT NOW. If you will just focus on building the steps across the stream, I guarantee you that campaign building will become much, much simpler. There is a method to my madness and there is a reason why we focus on these step-goals first. What few people realize about Campaign Builder is how to effectively report on campaigns. But if you follow my methodology and start with the step-goals, your reporting structure will be built in from the beginning. (Read more about Campaign Reporting here). I don't want to re-hash that whole article here, but the point is that GOALS are what you want to report on, not sequences. And that goals can be easily viewed historically beyond the 30-day graphical view of Campaign Builder via reports (ok, go read that other article if you want to learn more). So, by using Step-Goals to lay out our funnel, we're creating the perfect infrastructure to report on later. Next, you simply begin to work from left to right, filling in the missing pieces of logic. Yes, you may need some decision diamonds and branching logic, etc… but do not obsess on the whole campaign and the overall complexity of it. Instead, just focus on laying down that next step across the stream – one step at a time. Focus simply on the logic to advance your contact to the next step goal, working left to right, one step-goal at a time. This process is what I refer to as the GOOD campaign. It will yield a result that is “good enough” to get out the door and you'll be able to design your entire campaign in a matter of a couple of hours or less of focused effort.